I wrestled with this post because of the location I shot it at. Such a incredibly depressing place, The Cambodia Killing Fields, where one of my favorite flowers grow. Here, a row of flowering trees line the fields where 10,000's of people were brutally murdered after being tortured for months. I am still completely saddened and struggling with the concept that humans are capable of such cruelty. To stand on the land where human remains; teeth, bones and clothing rise to the surface on a continual bases and lie at your feet as you walk among the mass graves; I can not help but ache for those whose lives ended and for those who were being forced to end those lives. I truly believe that both, the killers and those killed, were suffering immensely under the leader, Pol Pot, who was quoted as saying, "Better to kill an innocent by mistake that to spare an enemy by mistake." 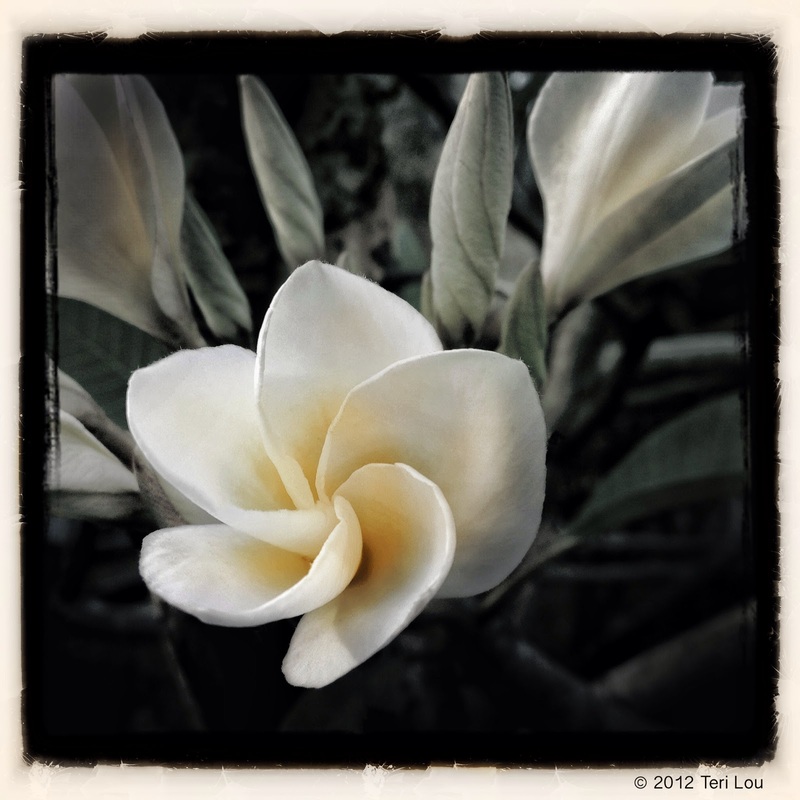 On Monday, February 13th my iPhoneography 101 and iCreativity courses will resume for 2012. Please sign up soon, there are only two spots left in iPhoneography 101.